Above, first place design by Mr. Y.K of Aichi Prefecture. ...Jintaro's "realistic" illustration nabbed third place. 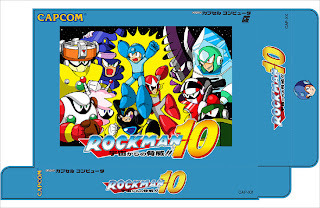 All three winners will have their designs produced into an actually box and each will receive a plethora of Rockman-related goods. 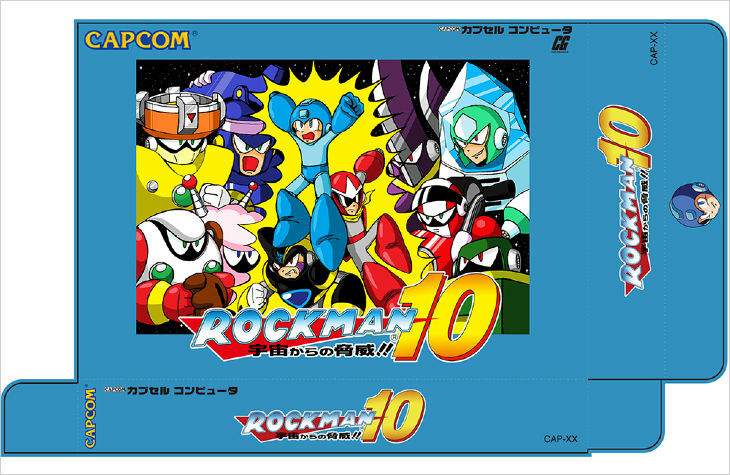 Capcom Unity has been holding a similar contest for non-Japanese fans since April, and those winners should be announced shortly. In the meantime, you can take a gander at the five runner up pieces here at the bottom of the page. Is that the first place winner art?? 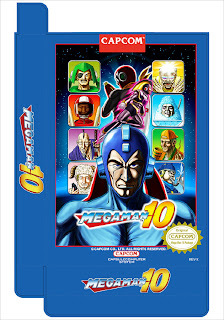 First place looks very much like Classic Mega Man styling. Second place is that psychedelic 3D thing back in the '90's. Might have actually been a promo art piece back then. Third place is just a lulzy tribute to the cheesy Japanese "macho man" motif, which is great to see when it's well-done and thoroughly characterized like this. Special attention to detail on the RM's. I actually like second place a bit more. 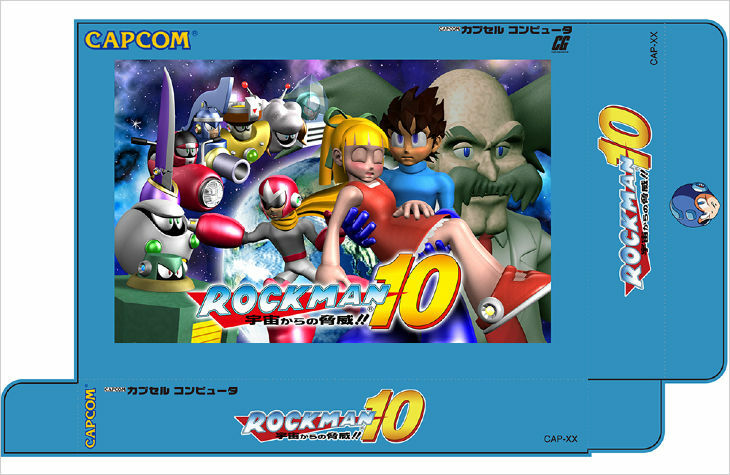 The graphics are very impressive for a fan-done 3-d model, in fact it closely resembles Rockman Strategy's style. LOL The third art is full of lulz. First one is Capcom's first place winner, second it Rockman 10 team and then third is Niconico's.